Audi Q3 Interior, Sat Nav, Dashboard | What Car? Regardless of your size and shape, it’s unlikely that you’ll have a problem with the Q3’s driving position. The steering wheel has a great range of movement up and down as well as in and out. The seat has plenty of adjustment too, but you’ll need to pay extra for adjustable lumbar support on all but the Vorsprung trim. The seats are supportive when cornering and align nicely with the pedals, helping to keep you comfortable on a long journey. As standard, you get a 10.25in version of Audi’s Virtual Cockpit digital instrument display, with a 12.3in upgrade available. Both are excellent, replacing conventional analogue dials with a highly configurable, full colour display that can show lots of useful info just below your sightline. Graphics are sharp and it’s easy to switch views with the steering wheel-mounted controls. 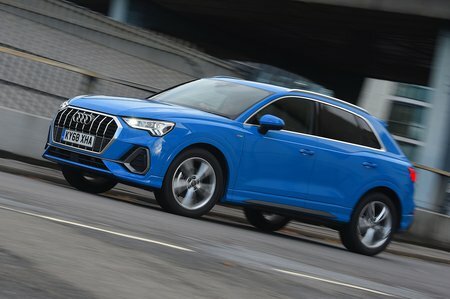 Even though the Q3 is relatively small by SUV standards, it still offers the high-set driving position that SUV buyers seek. Therefore, there's a good view of the road ahead, aided by reasonably slim windscreen pillars. That said, you’ll sit even higher in an XC40. The rearward view isn’t quite so good, because the thick rear pillars obscure over-the-shoulder visibility. However, rear parking sensors come as standard to help mitigate this problem, and a rear view camera is an option on all trims. If you need a little more help, a 360deg camera and a parking assistance feature are available as options. Audi’s touchscreen infotainment system might look slick, but it’s actually quite distracting to use on the move. Moreover, while its screen is sharp and responds quickly to inputs, its menus are less intuitive than those in the BMW X1. Standard functionality includes sat-nav, Apple CarPlay and Android Auto and a radio that can automatically switch between FM and DAB reception depending on a station's strength. 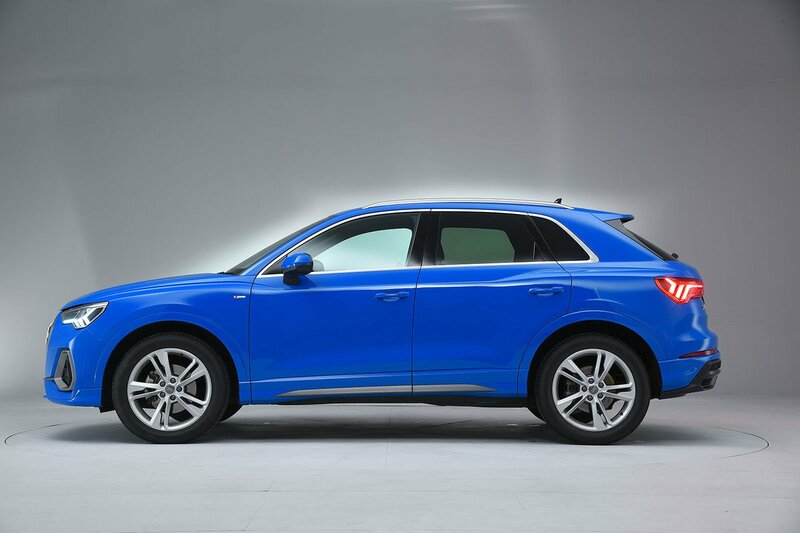 Audi Connect (offered on a three-year subscription basis) brings high-resolution Google Earth mapping, point-of-interest searching and info on parking spaces and filling stations, and wireless phone charging is available as an option. We’ve yet to sample the standard stereo system, but there’s the option of a £995 Bang & Olufsen Premium Sound System with virtual 3D sound as part of the Sound and Comfort Pack (included as standard on Vorsprung models). With a total output of 680 watts, it’s certainly powerful but somehow struggles with some of the bassier notes. As you’d expect from Audi, the interior looks and feels well screwed together, with much use of soft-touch material and pleasing metal-effect trims. It's a shame that you don’t have to look very far to find the less classy materials, which demonstrates that the Q3 isn't actually that much glitzier than the Volkswagen Tiguan inside. Optional Alcantara and leather packages lift the ambience, but they’re not cheap. Additional ambient lighting adds to the sense of occasion at night, but even then, we prefer the XC40’s plusher interior. While most of the traditional controls have been consigned to the bin and replaced by a one-stop-shop touchscreen infotainment system, the dials that do remain (specifically, for the air conditioning) operate with a satisfying click when you rotate them.